Individual tour-excursion-to Charyn canyon. Kolsay, Kaindy lakes by 4wd car. During this two days trip you will experience the dry and hot climate in the semi desert areas changing to the fresh and cool mountain climate. The scenery change is quite impressive as well. First you will see flats and hills and just in several hours there will be snowy mountains tops, coniferous forests, crystal clear lakes and spring brooks. 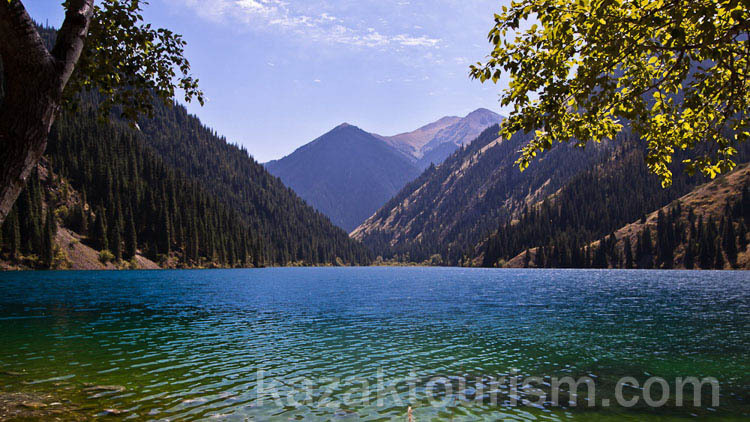 This tour will let you get in touch with the Kazakh culture during a longer stay with a Kazakh family in Saty village. There you will have the possibility to taste some home-made dishes made from fresh natural products. 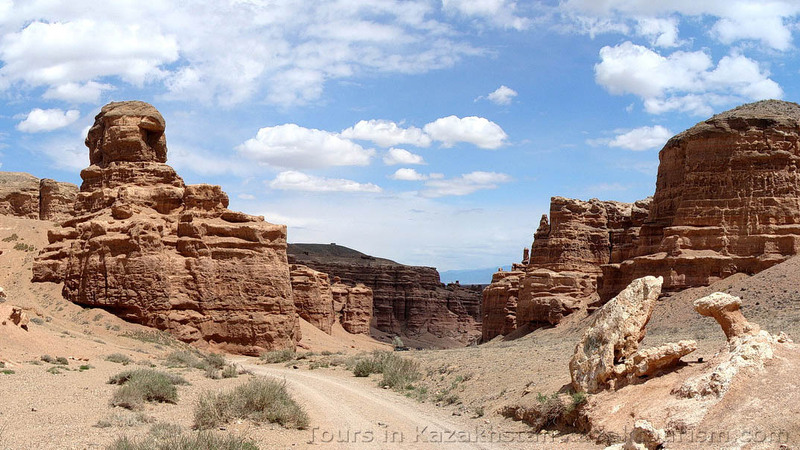 Transfer to Charyn canyon with stops for photograph and lunch at a roadside café in Bayseit village, 3.5 hours. Walking and photograph in Charyn canyon, 2 hours. Transfer to Saty willage with stops for photograph, 3 hour. Guesthouse accommodation in Saty village. Rest. Shower. Dinner. Night in guesthouse. Transfer to Kolsay-1 lake, 50 min. Dirt road. Walking around the lake and photograph, 2 hours. Return to Saty village. Lunch in guesthouse. Transfer to Kaindy lake, 1.15 hours. Dirt road. Return to Almaty including stop in Baiseit village for light dinner, 6 hours.